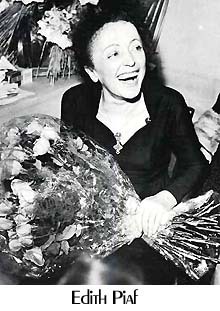 When I recall the movie of my life, I realize that when I turned 30 my life became a true fairy tale.And in this tale the name of my fairy godmother was Edith Piaf, the great lady of French singing. The magicians were Charles Trenet and Jean Cocteau; the wizard Merlin was Walt Disney, and My magic coach was the cruise liner S.S. France . I was born January 20, 1929 in a little village in the north of France. On Christmas Eve 1933, Santa Claus brought me an accordion and I became possessed by a "little demon of music." At an early age I had a great thirst for learning and knowledge. During school and later at University I had the good fortune to have exceptional teachers who awakened in me the urge to research and the drive to create. I began reading science fiction and devoured everything I could find by Isaac Asimov, H.P. Lovecraft, Aldous Huxley, A.E. 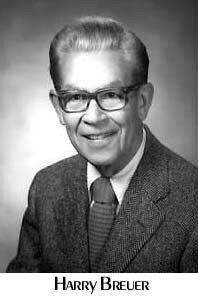 Van Vogt, and especially Arthur C. Clarke and Ray Bradbury, both of whom I later met in the United States. In 1939 World War II broke out. When the liberation finally happened in 1944, like all French people I felt a profound gratitude toward the Americans who had freed us from Nazi Occupation-I could not know that 15 years later the Americans would play a key role in my professional career. After graduating from Lycée d'Amiens (Somme), I attended medical school in Paris for four years. Even though I aspired to devote myself to scientific research, the little demon of music kept needling me. 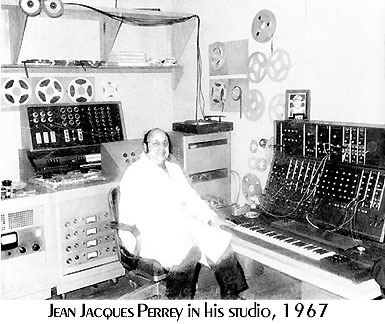 In 1952, while attending medical school, I met a genial inventor, one of the French pioneers of electronic music, Georges Jenny. 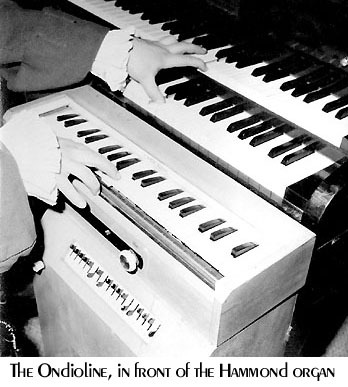 He had invented the "Ondioline," which may be considered an ancestor of the modern synthesizer. 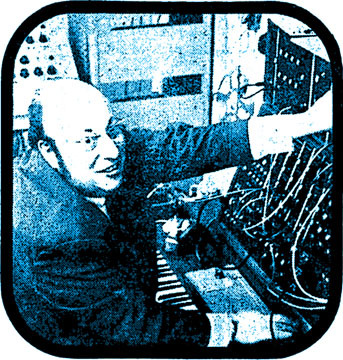 I already knew Maurice Martenot, the inventor of the Ondes Martenot, a musical instrument which could produce only very limited sounds. I preferred the Ondioline, which on its small keyboard allowed one to produce new and original sounds as well as sounds from existing instruments such as the violin or flute. I was fascinated by the Ondioline and felt it had a great future. The little demon convinced me to quit medical school in 1953. I decided I would become not a doctor but rather a musician and composer a creator. Within a few months I learned (on my own, without a teacher or sheet music) to play the piano by ear. I managed to get hired by Georges Jenny, who was looking for someone to demonstrate his invention. As a sales representative for the Ondioline, I began traveling a lot-first in France, then abroad to international music fairs. In few years, I became acquainted with all the great cities of Europe. Then my little demon whispered in my ear: "You have proved yourself to be gifted in music and to have imagination, but you must develop this talent further. You must get yourself noticed. You haven't achieved enough!" In 1956 in Paris, I had the good fortune of meeting with the great singer/composer Charles Trenet, who was very impressed by the magical new sounds of the Ondioline. He suggested I accompany him onstage. I also recorded some records with him, including one song which became an international hit, "The Soul of the Poets" ("L'ame Des Poetes"). My collaboration with him lasted a year -thanks to which I was able to meet other great artists of the singing world such as Yves Montand and Jacques Brel. I made my debut on radio and French television, not only as an accompanist of great singing stars, but also performing my own musical act. At the same time, I was investigating the influence of sound on the human body, and the idea of music as therapy. In 1957, I recorded an "auditory prescription" for insomniacs titled "Prelude to Sleep." The fruit of several years of research, it was the first such recording, and helped many insomniacs to regain natural rest. It was tremendously successful in Europe. In 1958, chance (if chance exists!) brought me a meeting with an extraordinary individual who said, "You are a pioneer. You must continue. But like all innovators you will have difficulties, and in France you will often feel yourself misunderstood. You should try to become well-known across the ocean. You have a mission on this earth, because you were born to create. Thirty years after you're dead, you'll be able to retire rich!" This person-this giant of the arts whom I profoundly admire-was Jean Cocteau. The encounter with Cocteau marked me profoundly. Our brief meeting was a determining moment in my career. It must have brought me some luck, because the next year I appeared at the Olympia Theater (the greatest musical hall in Paris) with Edith Piaf. Edith herself was very impressed by the immense possibilities of the Ondioline. From her, I learned many "tricks of the trade" having to do with show business and song arrangement. She gave me money to buy studio time which allowed me to record on magnetic tape a few pieces that were a showcase for the Ondioline. She even decided herself which pieces I should record to obtain maximum effect. In March 1960 I arrived in New York with a little traveling suitcase in one hand and my faithful Ondioline in the other. My sponsor met me at the airport. I will never forget this man-also one of the magicians presiding over my career. He was the first to offer me such an opportunity to express myself; by his financing he gave me a chance to live. 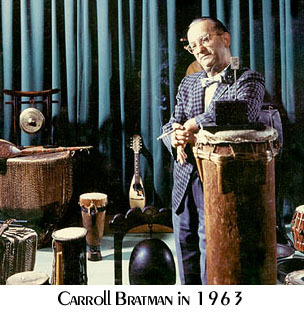 His name was Carroll Bratman and he directed Carroll Music Service, which rented musical instruments to recording studios, theaters, music halls and TV studios. He had a lot of business contacts and influence in the music world-all of which he shared with me. I feel an immense gratitude for his generosity and his heart. New York-this was a dream come true for me, an unknown Frenchman! At the risk of failure I had to conquer this new continent, this land of opportunity. I had faith in myself, feeling rash (or foolhardy) because I felt protected by the good fairies and magicians I had met in France. And when one is 30, one still has the soul of an adventurer-one needs to take chances. I was fascinated by New York, this great metropolis though which sooner or later all the giants of music and show business pass. I spoke English, but I myself had a lot of difficulty undestanding what people were trying to say to me. I admit humbly, that I was often afraid. But the warmth and kindness of Carroll and his staff reassured me, and soon I managed to find a niche for myself. Apparently people liked the "Frenchie" with his accent and his European sense of humor. Because I was a Frenchman, I had to pass a few administrative hurdles before I could legally be employed. I needed resident alien (green card) status; I also needed a Musician's Union card (NY Local 802), and with a wave of his magic wand Carroll arranged that, too. Finally I had gotten a break-now it was up to me to prove what I could do. And this is one of the things I appreciate most about the United States: people will give a chance to an artist if he can prove what he can do-if he's original and creative. Whereas in France, the spirit is more narrow-minded, distrustful, conservative, reserved, and often envious or jealous. Thanks to my new friends and my rapid progress in learning the American language (especially the slang, which made people laugh), I was soon ready to face new challanges. Carroll has now left us, but I pledge his eternal gratitude. My first appearance on American TV was on The Jack Parr Show. Thanks to my accent, a little humor and the novelty of the Ondioline, I managed to surprise the audience and make them laugh-the show was a hit! Then followed radio appearances-The Arthur Godfrey Show was a big success. Later came more TV appearances, on The Gary Moore Show, I've Got a Secret, Captain Kangaroo, The Tonight Show with Johnny Carson, The Mike Douglas Show, and others. When I left France I had intended to remain only a few weeks in New York. But it took 6 months to obtain a resident alien card, so I stayed! During this time, Carroll sponsored me totally, paying for my living expenses at the Bristol Hotel on West 48th Street and even giving me a salary as a sales rep for the Ondioline. But he did even more. In his building, he had set up an experimental recording studio completely equipped with everything I had ever dreamed of: tape recorders, various musical instruments, all the electronic keyboards existing at the time (Allen, RMI, Hammond, Martin, etc.). I felt like I was living in a dream-a real fairy tale. On top of my own experimental research, I was doing demonstrations of the Ondioline, and they were selling well; Georges Jenny was ecstatic-and I was, too! Little by little, I was becoming accustomed to the American way of life, and getting better and better at American slang. In my research studio, I worked hard-sometimes 36 hours in a row. I especially liked to work nights (the night is more propitious to research; one often finds inspiration on the doorstep of sleep). At Carroll's, I met a great musician, Harry Breuer, who is unfortunately deceased. Harry and I were linked by a true friendship which lasted well after my ten-year stay in the United States. We composed and recorded many radio and TV jingles with the new sounds of the Ondioline, and we had enormous success. 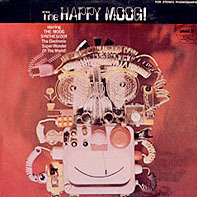 Together we created an LP for Pickwick Records, The Happy Moog. His loss greatly affected me because we had the knack of working together, practically in symbiosis. I also met a young composer, Billy Goldenberg, who later composed the soundtracks for Kojak and Columbo. Thanks to Billy, I met one of my idols of science-fiction literature, Ray Bradbury, for whom we created the musical decor for the theater version of Bradbury's Dandelion Wine, which played at Lincoln Center, New York. With Andy Badale (now known as Angelo Badalamenti), who did the soundtrack for David Lynch's Blue Velvet, we composed an instrumental called, "Visa to the Stars," which later became the theme for an Esso TV commercial. As a team, we produced many TV and radio jingles for ad agencies. In 1961.my little demon of music imposed himself once again, saying, "You must go even further. You must create a style which is particular to yourself-very personal-and which will make you known beyond that which you have already achieved." Once again I followed his advice. One night, in my alchemical laboratoratory of sounds, I invented a new process for generating rhythms utilizing musique concrete sounds such as noises of machines, animal cries, insects buzzing, etc. Once the sound were recorded I would knead them, chop them, run them through filters backward at twice the speed (or half the speed), and in this way they would become practically unidentifiable. Little by little, I created a "library" of sounds. I would isolate each of those sounds according to various parameters (frequency, attack, envelope, tonality, etc), and then associate these sounds rhythmically-according to well-determined, calculated patterns using repetitve loops and sequences. The result was astonishing. I had discovered an incredible goldmine, until then unexplored.